E-Z Treat continues to deliver next generation wastewater treatment systems. Since the 1970's the founders of E-Z Treat corp. have been designing and manufacturing efficient and affordable onsite re-circulating sand filter, wastewater treatment systems. We work closely with engineers, installers, local regulatory agencies and end users to develop the right wastewater treatment solution for your specific needs. 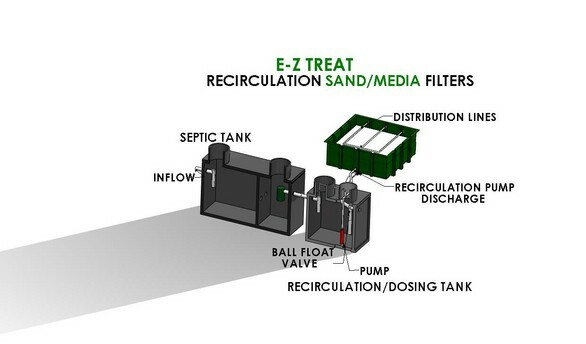 E-Z Treat systems are engineered for total blackwater recycling. 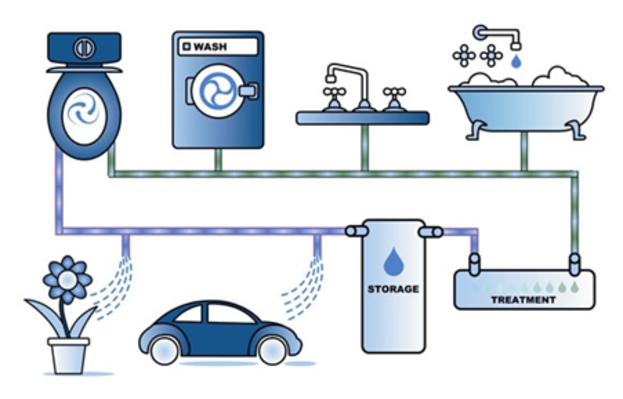 E-Z Treat processes water from virtually any source to allow for non-potable reuse. E-Z Treat’s high-quality effluent can accommodate flows from one bedroom residential to 100,00 GPD commercial systems Engineered to perform better, conserve space and provide new opportunities for homeowners, builders and developers to create water efficient buildings and homes. E-Z Treat – beneficial uses include water that may be used for many purposes such as irrigation, toilet flushing, car and floor washing, bathing, laundry and cooling tower make up water. E-Z Treat qualifies for Green rating systems such as credits under the Leadership in Energy and Environmental Design (LEED) rating system as well as National Associaton of Home Builders (NAHB) ICC 700 National Green Building Standard. E-Z Treat Company is pleased to announce the E-Z Treat Re-Circulating Synthetic Sand Filter is the First and Only, biological based treatment system to pass the NSF-350 Water Reuse, NSF-245 and NSF-40 testing. 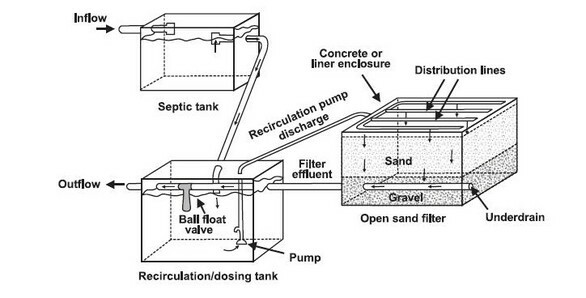 As shown below, you will see the EPA recommended design for recirculating sand/media filters directly compared with our patented E-Z Treat Recirculating Sand Filter Wastewater treatment system. Our systems are designed to handle flows of 100 to 100,000 GPD. The systems are easy to install, maintain, energy efficient and manufactured with environmentally friendly, recyclable materials.